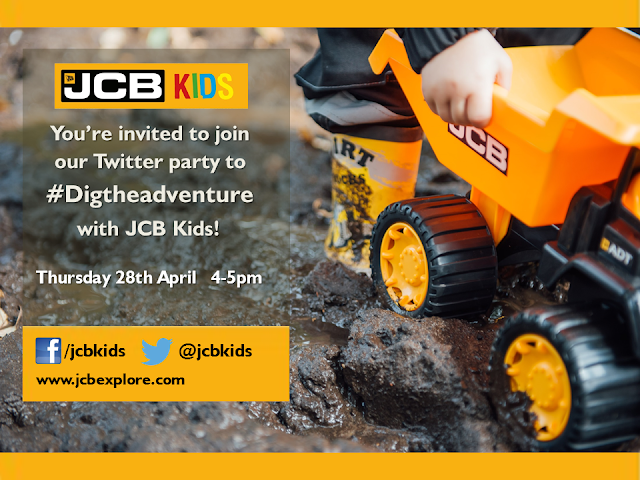 Last week we received a very large box of goodies from JCB Kids. Little J loves getting presents and to make it even more exciting each gift was wrapped up in gorgeous black and silver JCB wrapping paper. So far this year I have created two bucket lists and on those two bucket lists I have said I am going to lose weight. I need to lose weight and now that it's almost May I am starting to panic as Summer is literally just around the corner. We are still hoping to go away this year and all the talking about Summer has really put me in the mood to book a nice beach holiday. Little J is absolutely terrified of dogs. I'm not quite sure how and when this happened as I can't recall anything happening to make him so scared. As a regular visitor to the park with us and also his Grandma and Grandad and I don't really want it to become an issue. It hasn't yet except for a few comments later in the day when he will randomly say something like ' The doggy won't get me will it?' When we were sent Andy a gorgeous interactive dog I genuinely hoped this would help him with his fear. We were recently offered the chance to review an item from Trespass. I knew instantly Daddy would enjoy browsing the website for something so I handed this over to him. After a lot of searching and asking me what I thought he finally decided on an item. 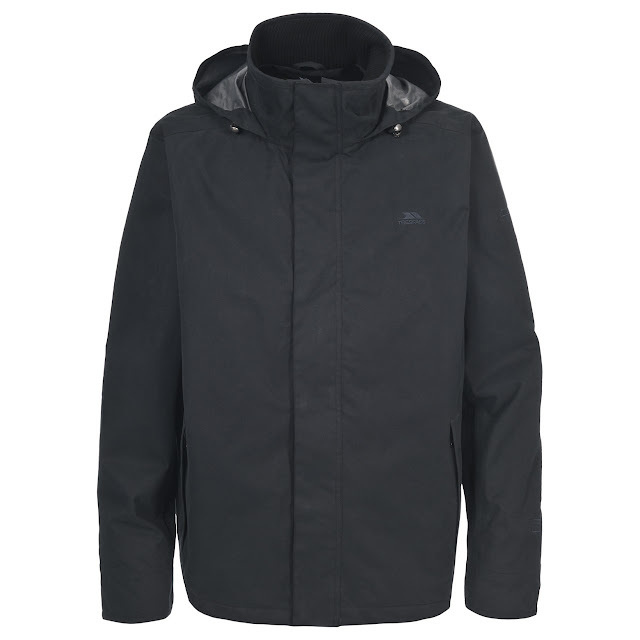 I will hand you over to Daddy for his thoughts on the Sanford Mens Waterproof Jacket. A few weeks ago we received My First Thomas & Friends Rolling Melodies Thomas. As you may know poor little J had chicken pox and wasn't feeling well at all but this really did put a smile on his face. Kiddicare have teamed up with Dr Elizabeth Kilbey, a well known child psychologist to get her views on how to balance the need for safe driving with the need to answer the questions to make sure your child feels safe and doesn’t get upset when they can’t see you. Her view is that often the child is just reaching out for a connection. It’s easy to forget that they can’t really see you, and that they don’t have your attention. 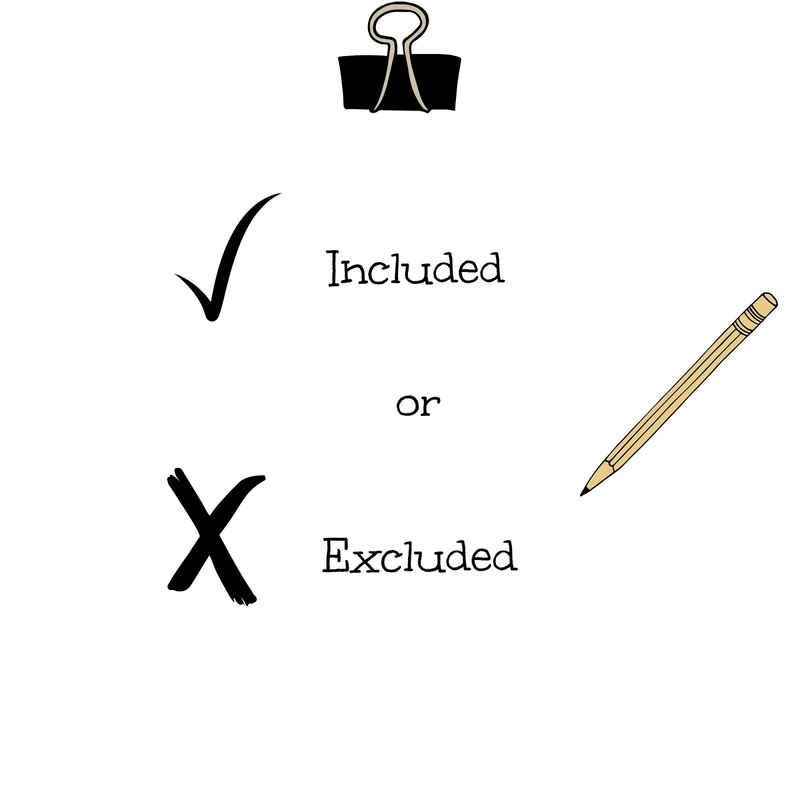 To the child they won’t realise you are completing a task that in some situations can be difficult. Often the question doesn’t need a ‘correct’ answer, just an answer so that the child can connect with you. It’s their way of making sure you are still there and still there for them even though you are doing something else. This time last year we were looking forward to our first Summer holiday abroad as a family of four. Usually we are looking at holidays a year in advance as we like to ensure we find somewhere family friendly with lots of facilities and activities to keep the boys entertained. I love having a holiday booked but unfortunately this year we have absolutely nothing planned. Now that the days are brighter it has put me in the mood to start looking at holidays. 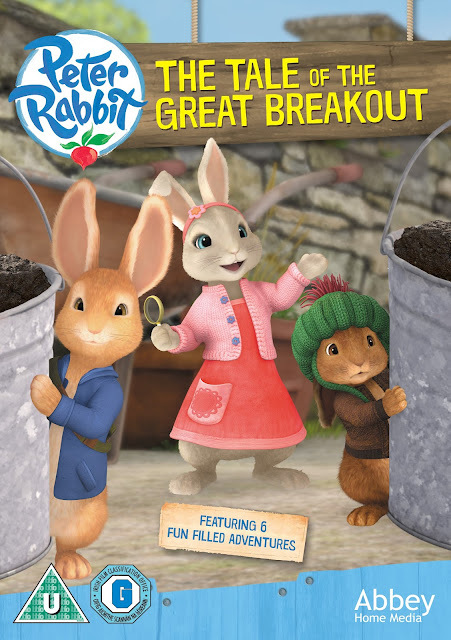 Beatrix Potter and Peter Rabbit seem to be everywhere I look at the moment whether it's the classic tales or the new updated episodes which you can see on CBeebies. We are actually a fan of both and whilst the originals took me back to my childhood the bright and bold colourful Peter Rabbit and Friends is a big hit with little J. 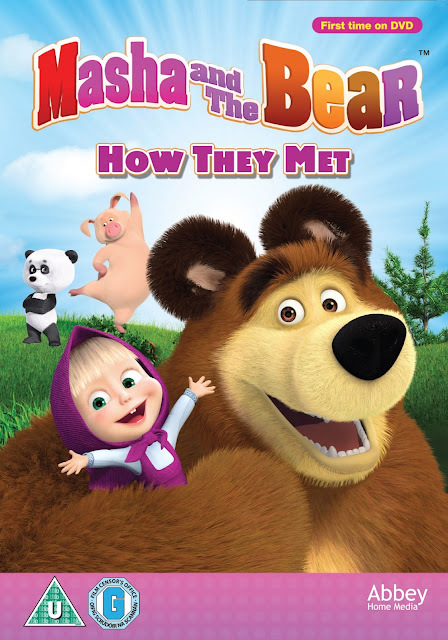 Friendship and adventure abound with the heart-warming tales of three year old Masha and her retired circus star friend, Bear, in their first DVD collection released by Abbey Home Media on Monday 25th April. We stumbled across Masha and the Bear just recently and little J loves it. It's actually really cute and after reading about it online I noticed Masha was voiced by Elsie Fisher who also voiced Agnes in Despicable Me. Little J has recently been trying out Kiddyum ready meals. Now if you are a parent you may, like me think ready meals are not for kids. They are usually processed foods crammed full of salt and sugars to make them taste good. However after reading up on Kiddyums I was please to learn that they contain all natural ingredients, no added sugar and low salt. Little J has become quite obsessed with cars and his garage that he received for his birthday. He wants to play with it all the time and even though I love watching him play with the garage, he so many other toys that I know he would enjoy too. So we had a garage free day and enjoyed playing with two of his favourite characters, Twirlywoos and Bing. If you follow me on social media you will already know that Little J's birthday didn't go exactly as planned as a few days before he got Chicken Pox. It's just typical isn't it especially when you have lots of fun and exciting things planned and he had waited so long for his birthday. As you can imagine he wasn't feeling great and probably celebrating was the last thing on his mind, but we did try to make his birthday and the days after as special as we could. As most will probably know by now poor little J's birthday didn't go exactly as we had hoped as he had Chicken Pox. He is only just now starting to feel better now which is so sad because he missed his special day. However we did make a fuss of him for about a week later enjoying special treats, presents, visits from family and friends and lots of cake. We were sent a lovely Gruffalo party pack from House of Party which originally was meant to be for his nursery party but as he was ill we have had quite a few tea parties at home. Working as a Nursery Nurse has opened by eyes to all sorts of things that I probably wouldn't be aware of if I had a different profession. One thing I know for sure is that we are taught that all children should be included no matter what. 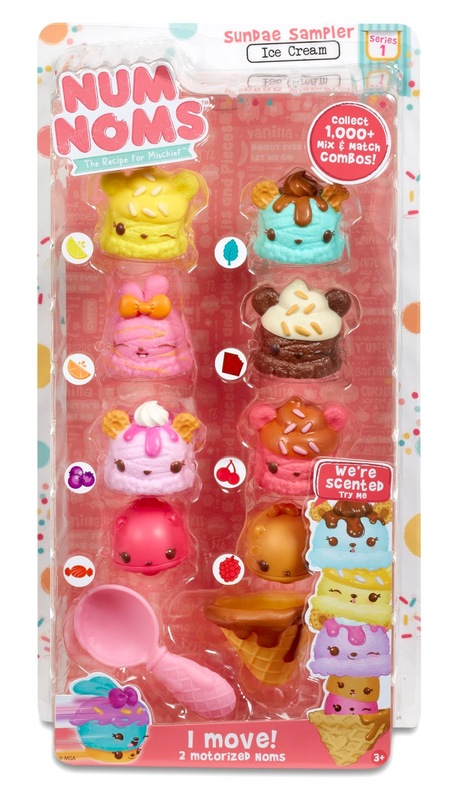 I recently came across Num Noms at our local Tesco. They were new in and seemed very popular as most of the stock on the shelves had gone. They looked fun and I am sure the kids will go crazy for these, wanting to collect all the different characters. 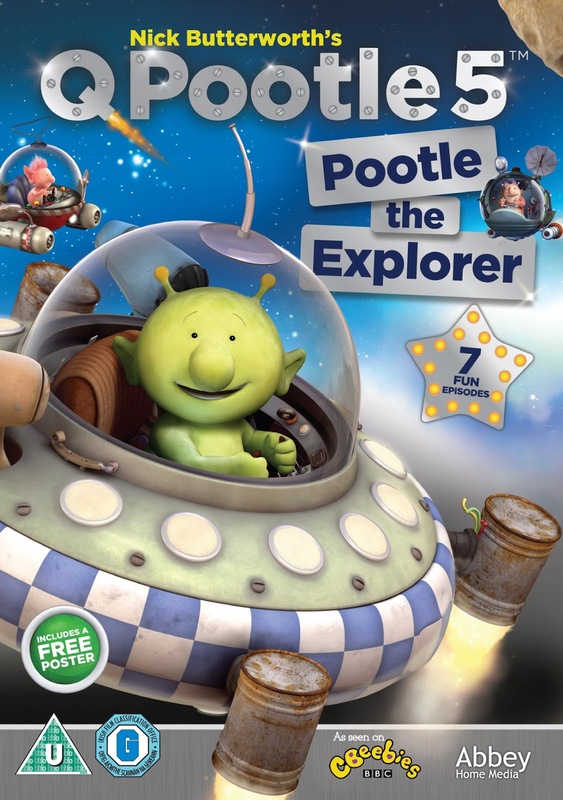 I can't believe it's been 18 months since we last reviewed Q Pootle 5 DVD. Little J is such a fan of the show and we are both so excited for the releases of Q Pootle 5 - Pootle The Explorer on DVD. Although we have CBeebies on TV I do like to have a back up of DVD's they keep little J entertained especially on car journeys or when we go away. 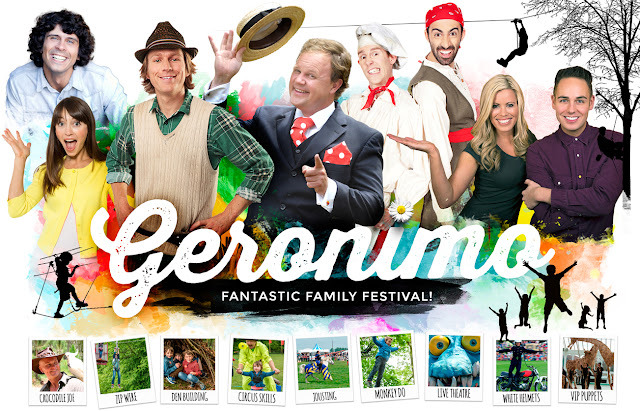 Geronimo is back and this year it’s going to be bigger and better. Seeing a return to Tatton Park in 2016 from May 29th – 30th and a new venue at Harewood House from May 1st – 2nd, expect a line-up jam packed with some of the biggest names in children’s entertainment, including TV favourites Justin Fletcher*, Mr Bloom, Andy Day, Alex Winters and Cook & Line from Swashbuckles. 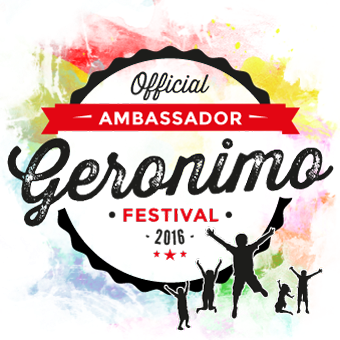 It doesn’t matter if you’re two or 12, there is something for everyone at Geronimo Festival. Whether your kids are adrenaline junkies or craft-mad, animal enthusiasts or music lovers, the North’s biggest family festival boasts a jam-packed line up of live shows and amazing experiences for the whole family to enjoy. Although it may not seem like it with the awful weather, Spring is finally here. When Spring arrives we can enjoy the lighter evenings and some brighter weather. I do love the lighter evenings and its always nice to wake up with the sun is shining through. We have had a think and created our new Spring Bucket List. 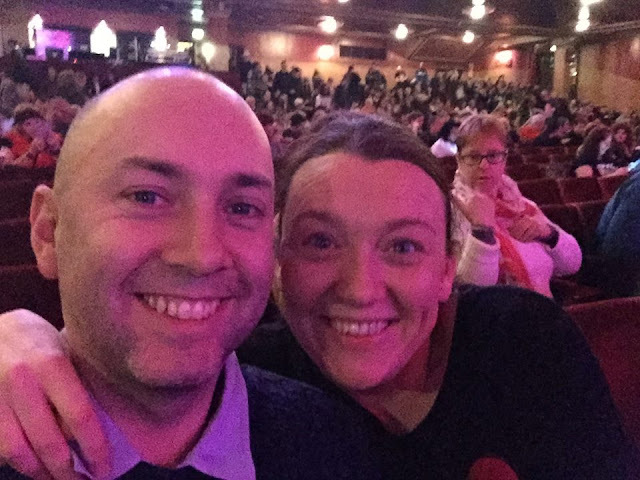 We managed to tick a few things off our New Year Bucket list and hopefully we will do the same for Spring. We have failed to complete all our New Year bucket list which is really disappointing. I have had a look back and all our goals were achievable so there isn't any excuses really. 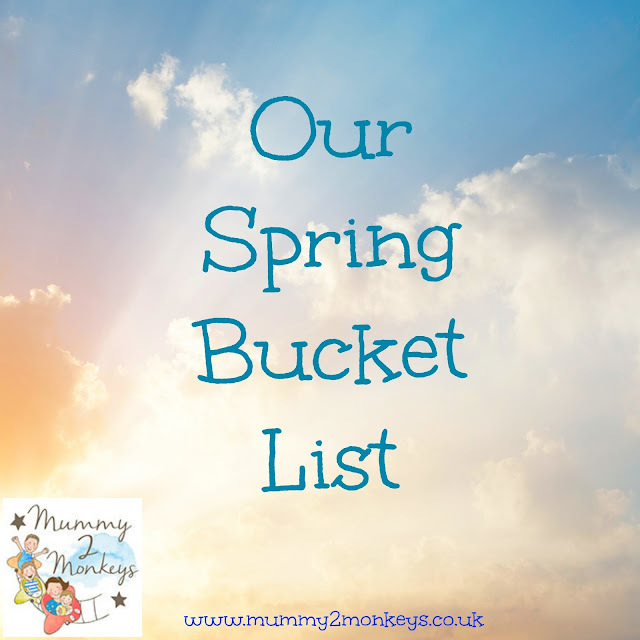 Heres hoping we manage to tick off a few more from our Spring Bucket list. 1. Potty Train Little J - I actually can't believe how easy this was. Little J has done so well and I am so proud of him. He had nappies on one day and the next he didn't. It really was so simple. The thing with little J is he just picks things up very quickly and once we had the potty chat he was good to go. 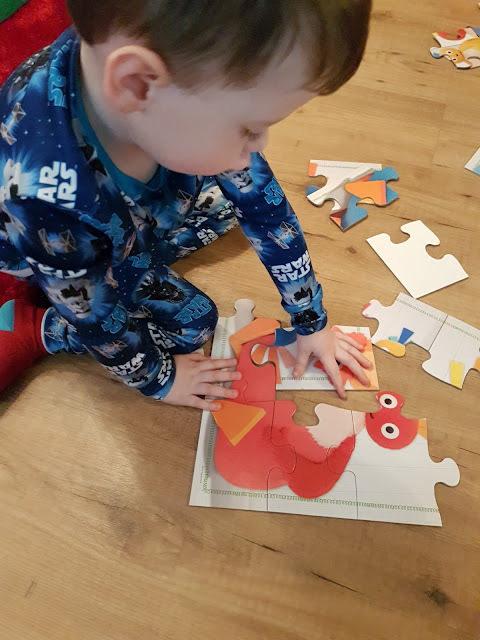 I honestly thought this would take months and thought I would be doing weekly updates on our progress but I just did one post on how the potty training had started and finished. He has had a few accidents but that's it. Next up will be keeping him dry through the night but I am going to wait until he is a little older. 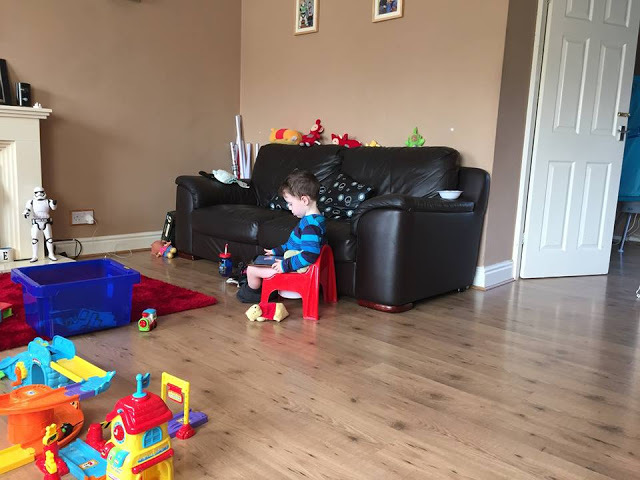 I have posted some tips if you are thinking of potty training your little one. 6. 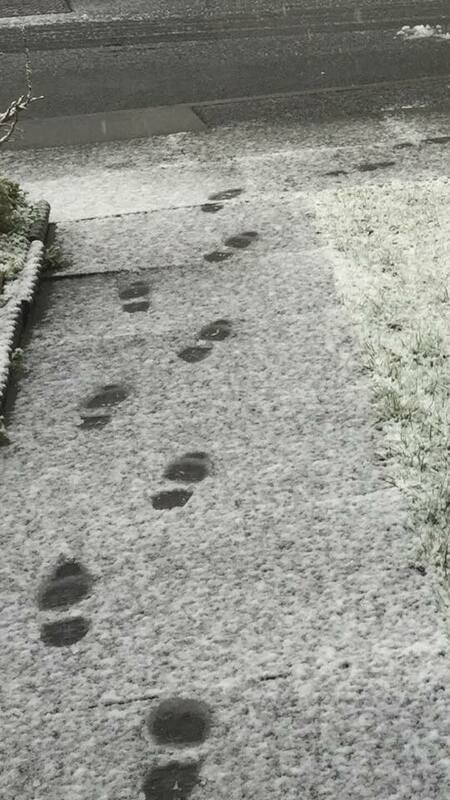 Lose The Christmas Weight - I honestly haven't made an effort with this so although I have lost a little weight I really do need to put in the work so this will be on our Spring Bucket list too. 7. Build a Snowman - We didn't get to make a snowman but snow did fall one morning a few weeks ago and it was very exciting. 11. 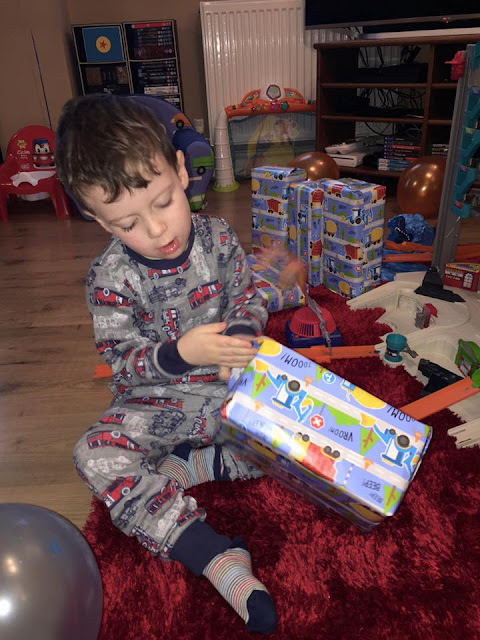 Celebrate Little J's Birthday - Although we didn't get to do this on his actual birthday as he had chicken pox we did get to spoil him and give his lots of presents when he was feeling better. 12. Think Of Fundraising Ideas - You may have read that Daddy is fundraising by doing a bike ride the distance between London and Paris. You can read about it here. So out of a possible 12 we only managed half. We will try to do better next time. When I first heard about Pampers Wonder Week last year I was genuinely excited. Finding a bargain is something I really enjoy. 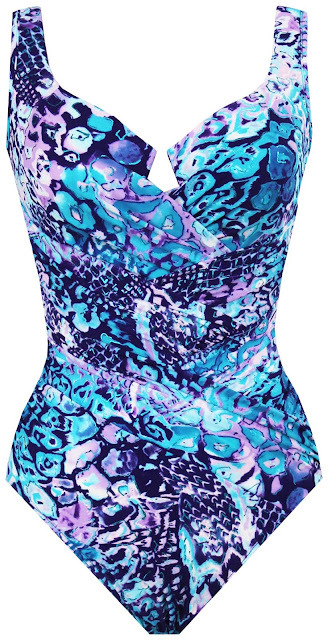 I love the feeling of getting something you really want or really need at a discounted price. 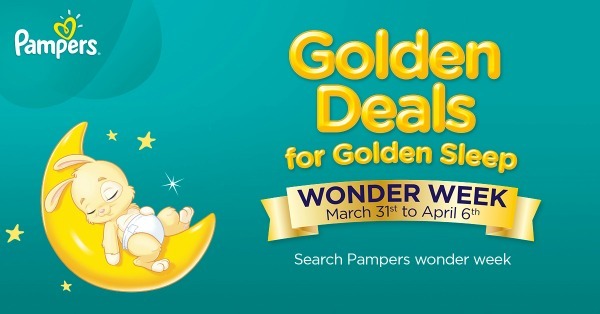 Pampers Wonder Week is all about buying in bulk to experience great savings and I am so pleased to let you know it's back.